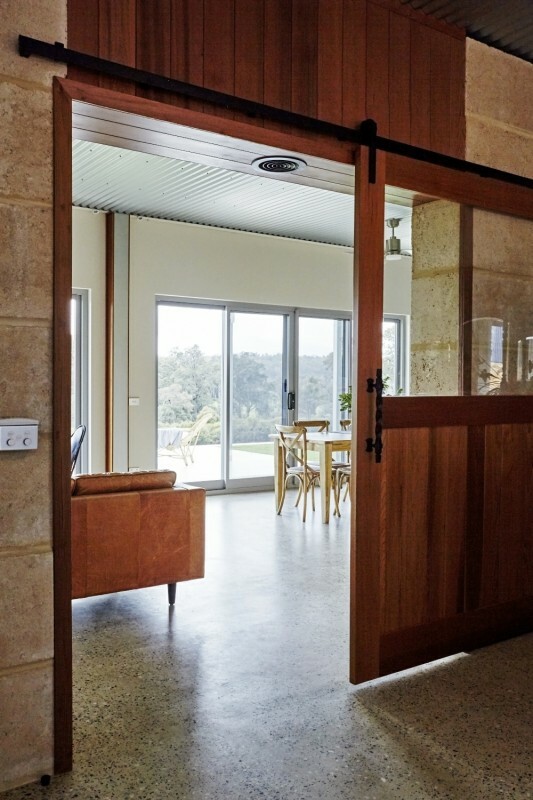 Sliding barn doors create an impressive focal point in any space. 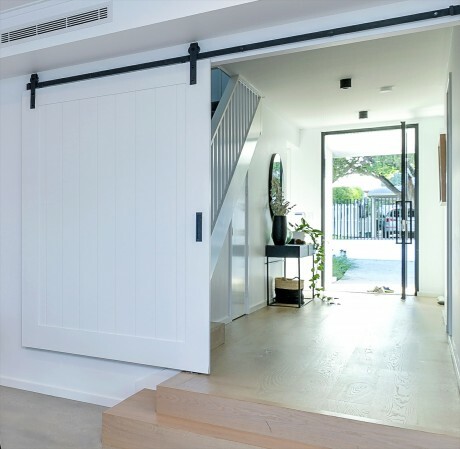 The exposed tracks and open rails give the door a sleek, industrial appearance with an architectural edge. 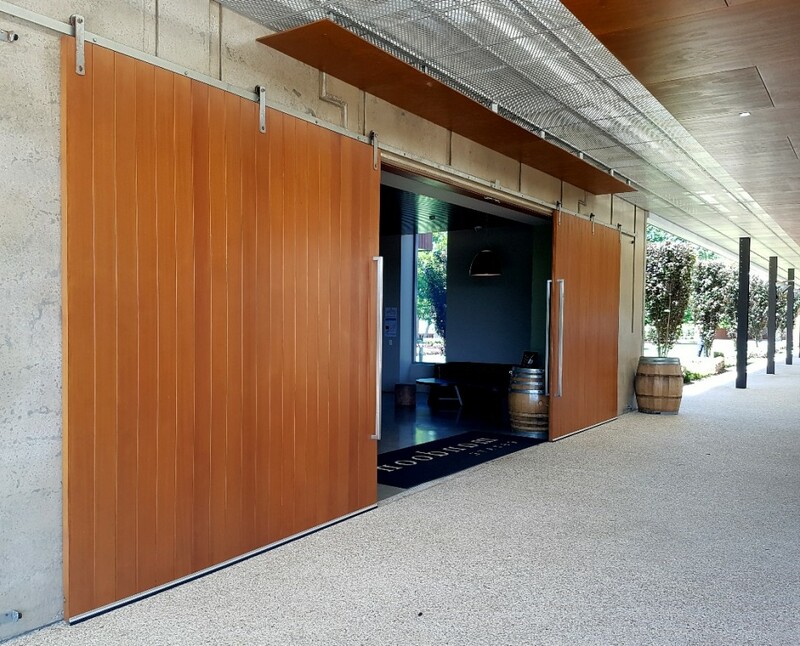 Our barn door systems can incorporate most of our door designs, including solid timber doors, tongue-and-groove doors and more. 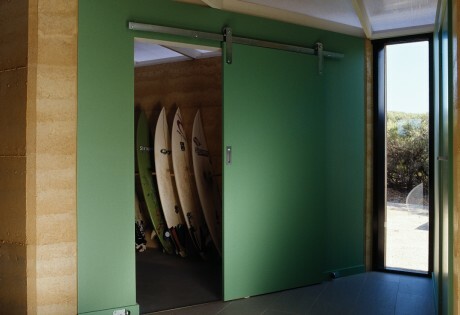 Simply choose the door design you like and let us know that you would like to use it as a sliding barn door. 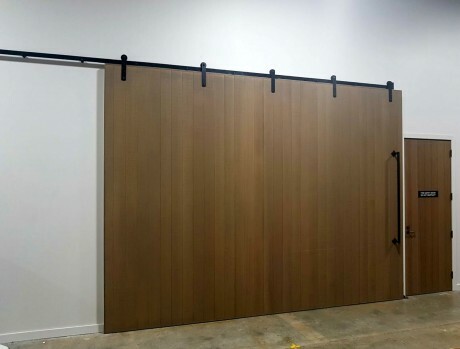 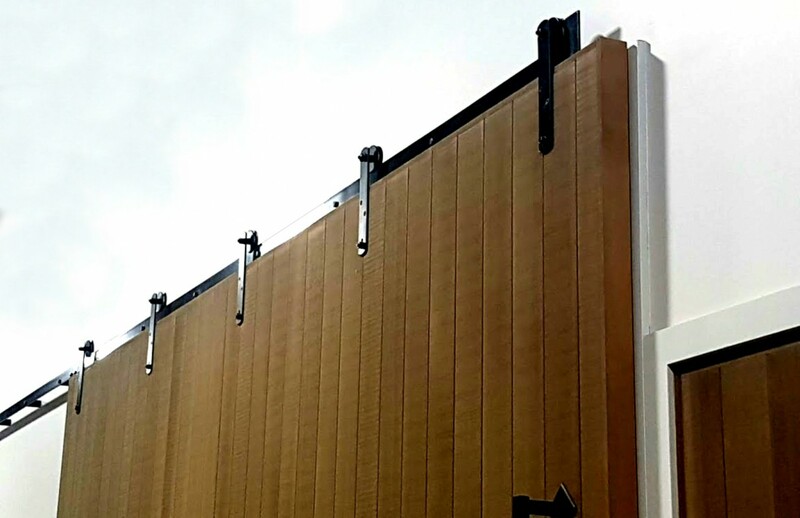 All of our doors are custom-made, which means that we can accommodate a variety of rolling track systems, including round or square rails, with top-fixed or face-fixed hangers. Contact us today to discuss how we can help you create the look you want for your next project. 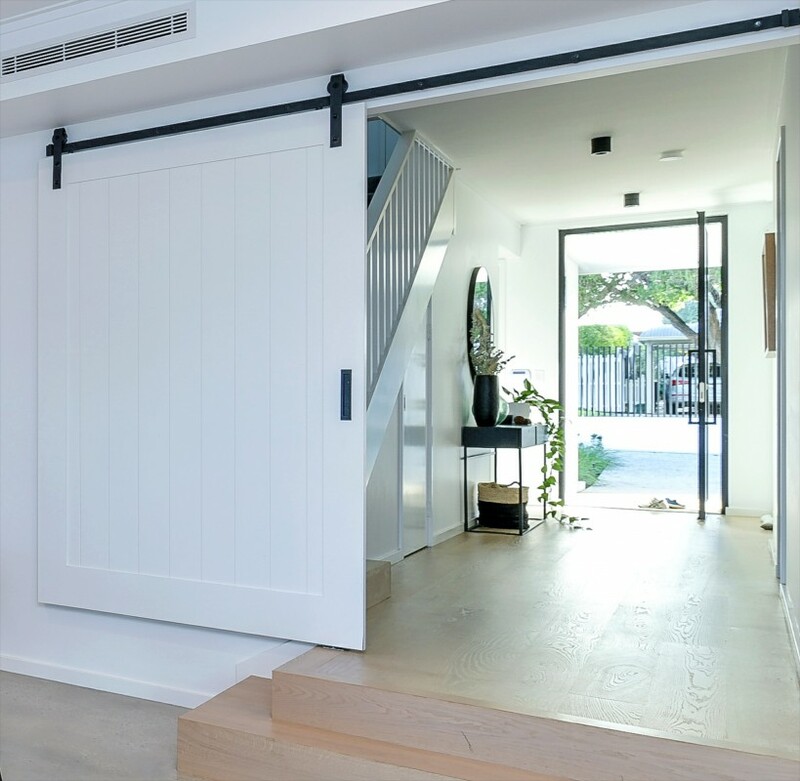 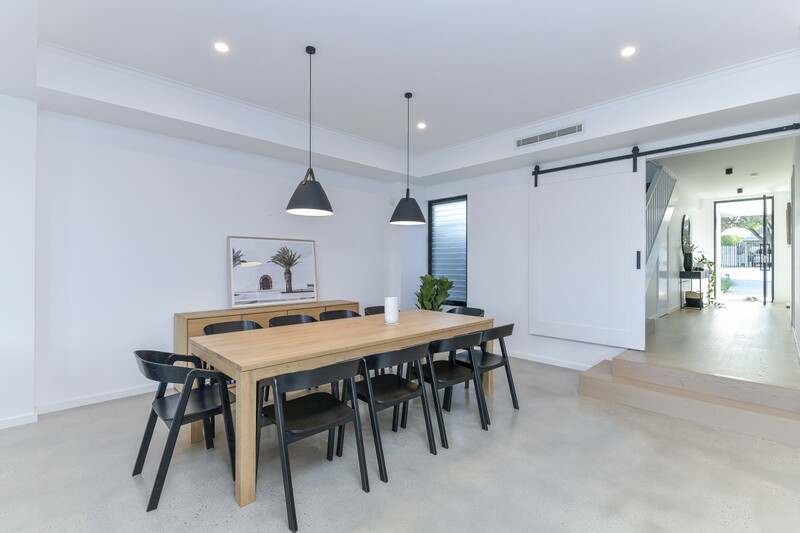 You can combine one of our streamlined timber doors with a stainless steel track for a contemporary look, or select a traditional raised panel door with a classic black rail for a more rustic style. 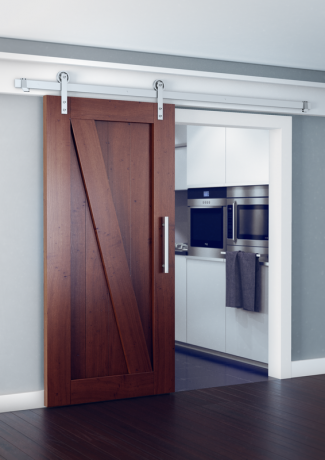 Simply select the door design you like from our huge range of designs or give us a call and we can help you find the ideal door design for your project. Custom-made to suit your size requirements. 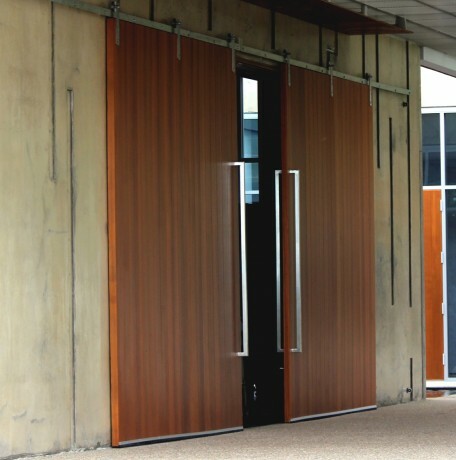 Can incorporate a wide range of Cedar West door designs. (1) Centor Hardware (A6 System). 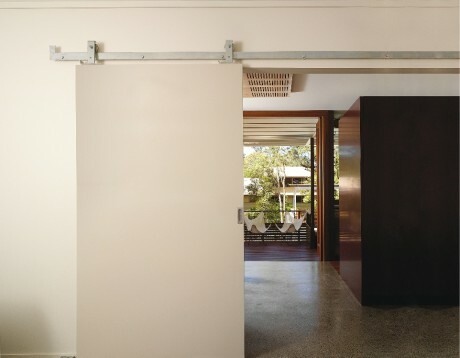 (2) Brio Hardware (Open Rail Systems). 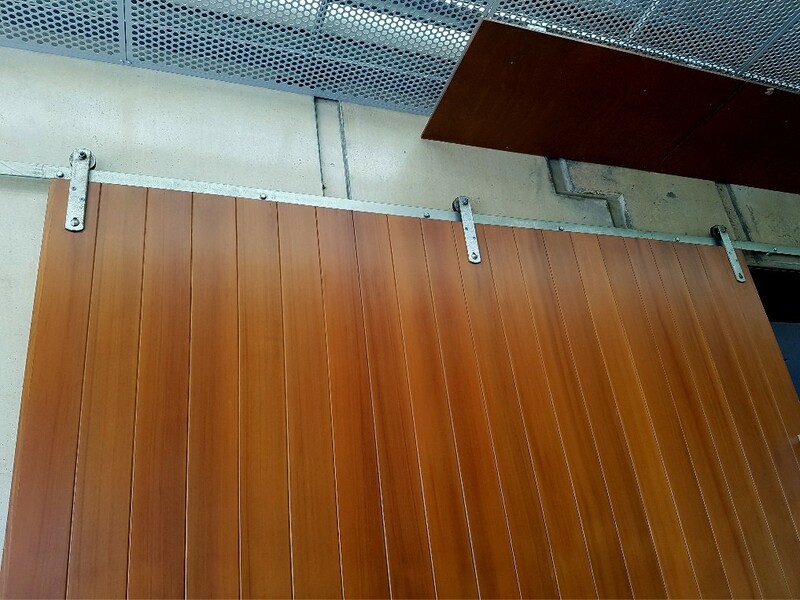 *Other track systems can be accommodated on request. 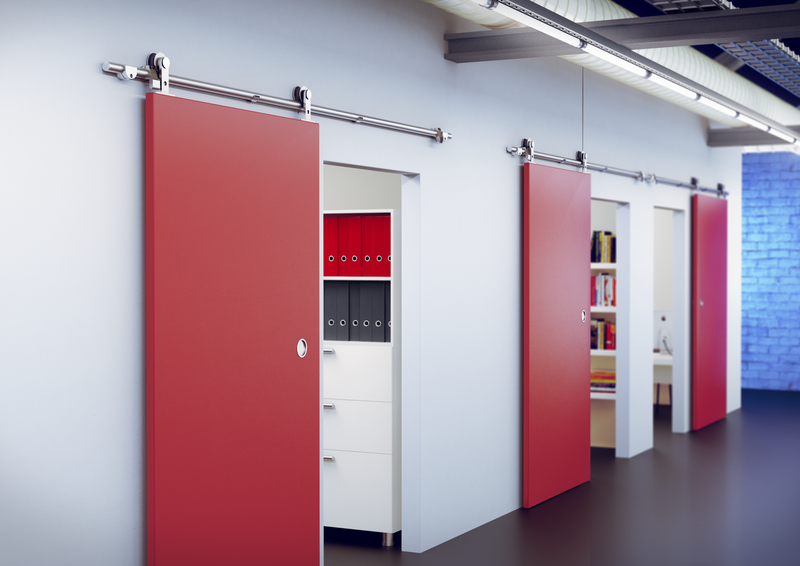 Track colour - range of colours available, including black, stainless steel and powdercoat finishes (see above websites for full details). Suitable for single or double doors. Maximum size of door is dependent on hardware selection. 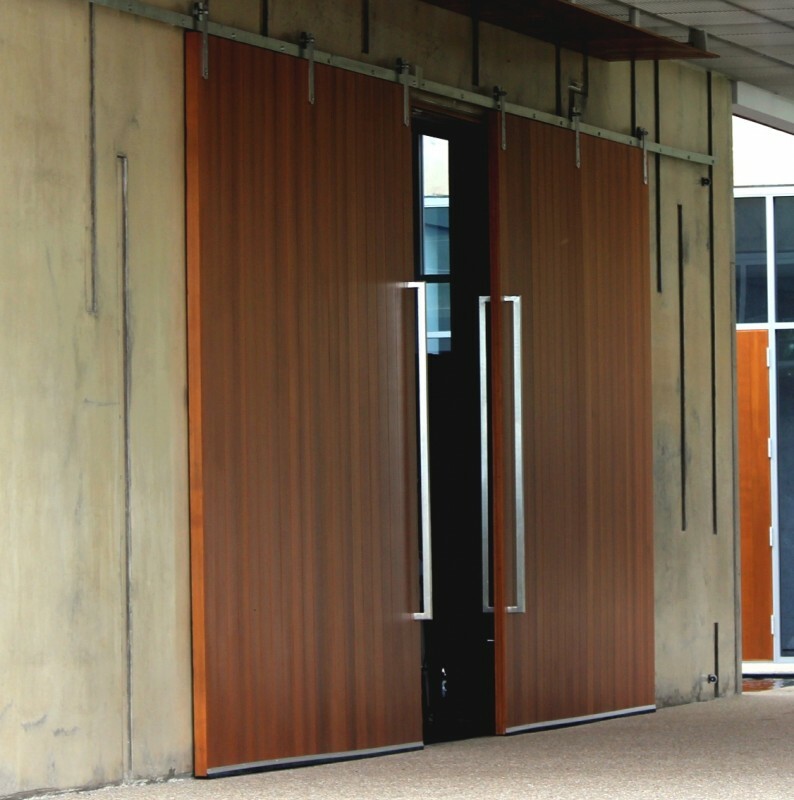 Doors available in raw timber, or with white or grey factory undercoating (to exposed surfaces).